FRIDAY, SATURDAY & SUNDAY NIGHT ACCOMMODATION SPECIAL! 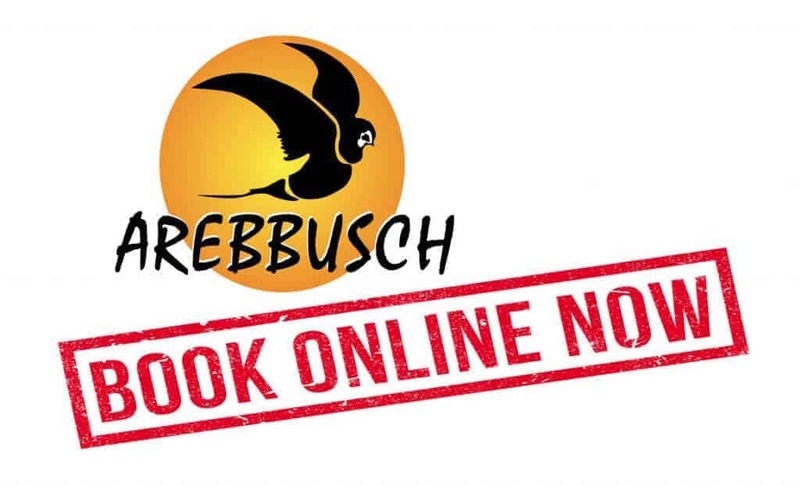 Arebbusch Travel Lodge is offering 36% off the standard room rates on Friday, Saturday & Sunday nights. Rates include VAT & NTB Levy. This special is only available if you book via the Arebbusch Travel Lodge internet booking engine. This special is available most Friday, Saturday & Sunday nights, except when there are better specials in place and it is subject to availability and change without prior notice.